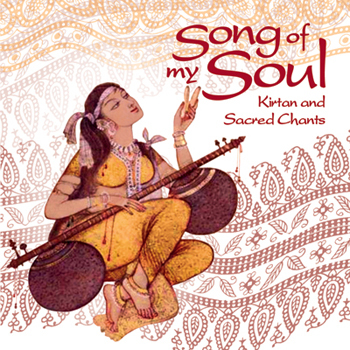 A soul-stirring gathering of chants recorded in Jyoti Mandir at Sacred Mountain Ashram, accompanied by synthesizer, guitar and tablas. The heart-felt simplicity of the singer’s voice is enchanting and beautifully complemented by the haunting and lilting keyboard accompaniments of piano and synthesizer. All of the songs are sung most sweetly by Sita Stuhlmiller . . . simply profound and gorgeous.
. . . gifts of beauty, wonder and joy.